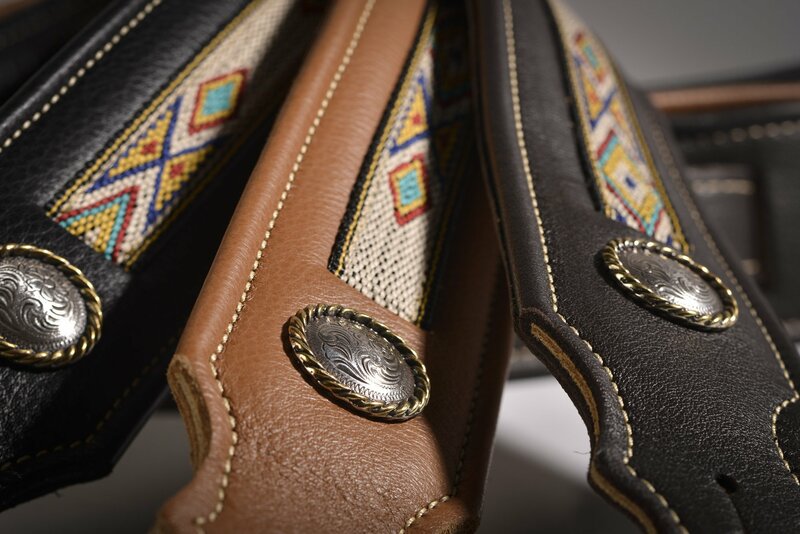 This padded southwest series captures the visual heritage of the American southwest. The hitch weave pattern combines a traditional, rugged simplicity with the subtle sparkle of a tooled concho ringed in gold braid for great presence on stage. By using the same artful technique in crafting our padded glove leather straps, we start with a core of soft, top quality suede and place a wafer of foam on top. We then wrap it with our plush glove leather for a rolled, “upholstered” look. Another layer of foam is added on the back side and covered with glove leather. Really soft! Got this strap recently and its even better in person than the pictures show. 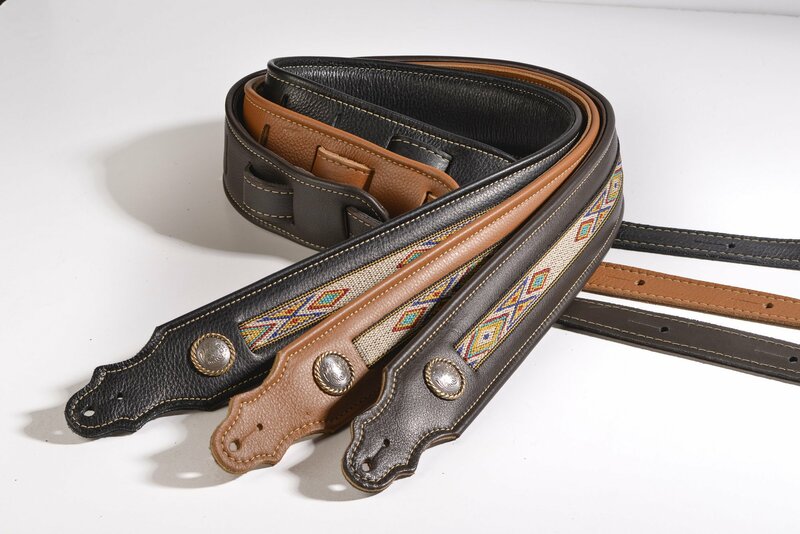 High quality soft padded leather, great southwestern design in the center, very comfortable. This one works great as a bass strap even though its only 2 inches wide. Better than anything I’ve seen off the rack. If you e-mail them with questions they respond very quickly and the shipping is lightning fast and free.